See more choreography and performances from me by visiting my Youtube channel. 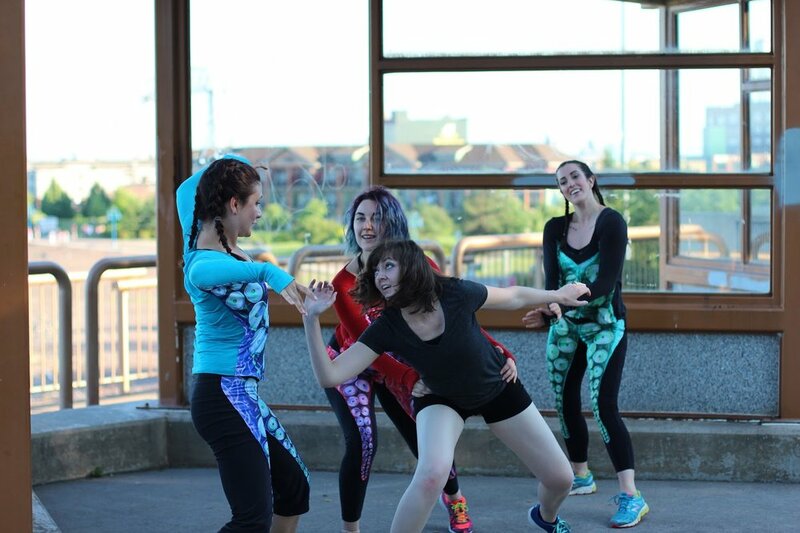 This group show, "Wordy Dancing" was a collaboration with local poets to celebrate poetry through the movement of dance. The poem in this piece was read and written by Elena Suarez. It's called "Paso Adelante" (Moving forward) and my choreography was created to embody her words. A collection of dances presented by choreographers from Duluth, the Twin Cities and California presented in Lake Place Park overlooking Lake Superior on Friday and Saturday, July 14 and 15, 2017. I create pattern-rich translations of life. These translations take form as bodies moving in space with rhythm, presence and personality. I orchestrate patterns into visual compositions which transfer information to viewers in a new and often surprising way. I begin with a simple concept or narrative. I create movement patterns that reflect an aspect of that concept, then layer them on top of one other to create a visually rich and experientially engaging performance. When I create for an ensemble, this layering is even more dynamic. Often, I use different dancers to embody one key element of the concept and layer rhythms between dancers to give a more fully rounded embodiment of the concept or narrative. Dances are such complex pieces of art. They are experienced visually, rhythmically, emotionally and spatially by the audience, but also by the performers. It’s a shared experience, and one that effects everyone who partakes. That’s one of the reasons I find it to be such an addictive medium. There’s a beautiful translation of life that happens from initial concept, to choreography, to dancers in space, to the community who watches it. I take great joy in creating these experiences and learning from others as those patterns ripple through them.